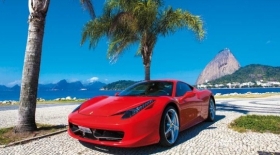 The Ferrari Guide: Rio de Janeiro! 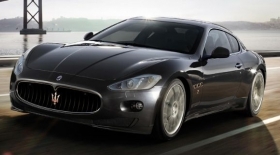 The Maserati GranTurismo succeeds in combining unrivalled class and elegance with uncompromising sports performance like no other four-seater car. The external lines exude dynamic tension and sporting prowess from every vantage point: starting from the large oval mouth that surrounds the radiator grille, the bodywork seems to hug the car’s mechanical structure all the way to the rear, like a tight dress over curvaceous hips. The fee is £ 130 / year. Prices of all-time currency exchange rates will change in the medium. billing address. Customer Name, location, etc. enlisted after receipt of the amount of the ordered phase of the account within 72 hours. There are currently no additions news!